In the year 2038. A police state, scheming politicians, religios sects, revolutionaries and a secret scientific project all combine to produce an explosive mixture in Neo-Tokyo. 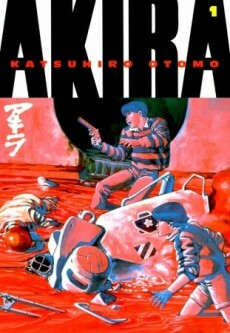 The rival groups all have their eyes on one prize: control of Akira, a boy of such destructive psychic ability that he has been held in cryo-stasis for over 30 years. A coup is planned, but there is a wild card in play: the psychic Tetsuo, an impetuous young biker who releases Akira and so forces all of the groups to make their move.